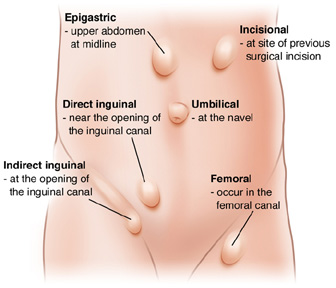 There are several kinds of hernias; inguinal, femoral, umbilical, epigastric and incisional. Inguinal hernias are by far the most common and the description below relates to them. If you want to discuss the other kinds of hernias then please contact my secretary to book an appointment. Where the spermatic cord in men and the round ligament in women passes through the abdominal muscle wall there is a potential weak point (it is larger in men so inguinal hernias are much more common in men). Over time this weak point can expand and allow the contents of the stomach (fat and bowel) to come through. This creates a lump in the groin and is called an inguinal hernia. Some hernias do not cause any problems and are just noticed as a lump. Others can cause pain, and sometimes this is severe and so restricts activity. Occasionally the bowel can get stuck out and this can be a very serious situation as the bowel can lose its blood supply and an emergency operation is needed. Occasionally a hernia can be very small and the lump not noticed but it still causes pain. In this setting an ultrasound scan or a MRI might need to be organised. If the hernia is small and not causing any problems then it is reasonable to do nothing. 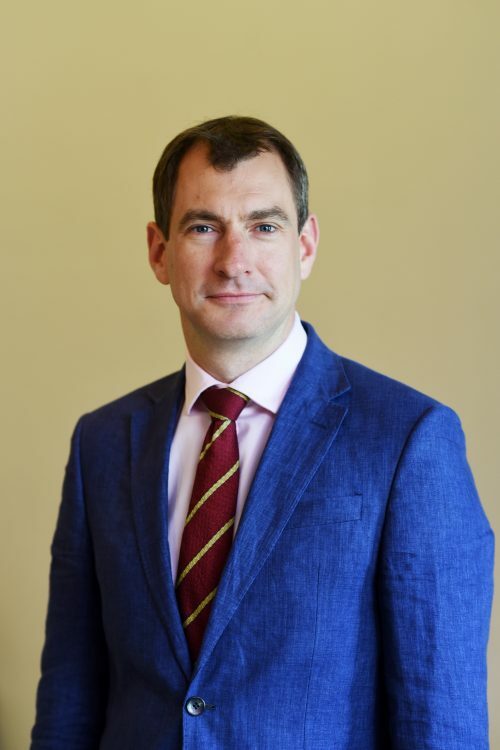 However, we know from studies that 70% of people who have a hernia that is causing no problems (it is asymptomatic) will develop problems and will have an operation. In this operation (with you asleep) a 1cm hole is made through the belly button to allow a camera into the abdomen. Then two 5mm holes are made to allow the instruments in. The hernia is then pushed back in and a mesh placed to reinforce the muscle wall. The advantages of this operation is that the recovery is quicker (normal activity can be resumed after 1 week) and there is less pain. It does require a larger anaesthetic so it might not be the best operation if you are older or have other health problems. Rather than putting you to sleep local anaesthetic can be used to numb the groin and then an incision is made over the hernia. The hernia is then put back and again a mesh is used to reinforce the muscle wall. The advantage of this operation is it is slightly safer if you have other medical problems, however the recovery takes a little longer. We will discuss the various options when we meet in clinic.